Back in issue 0, among the many soldiers fighting alongside the Wonders was a diminutive sergeant named Al Pratt. It turns out Al's company was caught in a nuclear blast. Somehow Al survived. What is interesting to me is all around Al is the imprint of a giant hand. It is never explained, which makes it even more interesting. 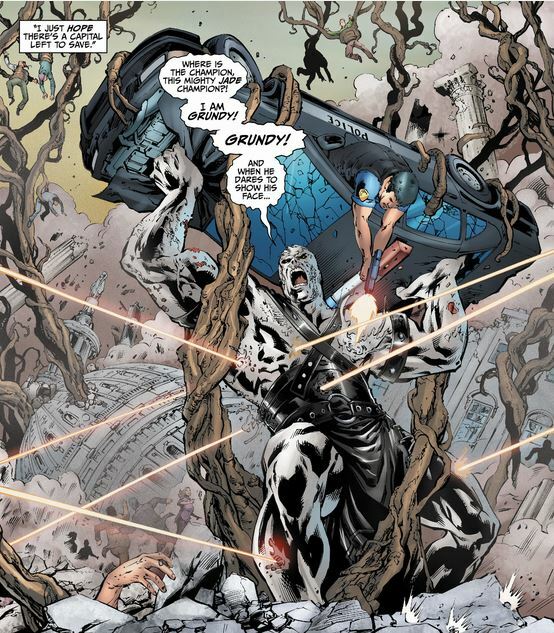 Last issue we were shown the 'birth' of Grundy. The monster has wasted no time in going class A insane. 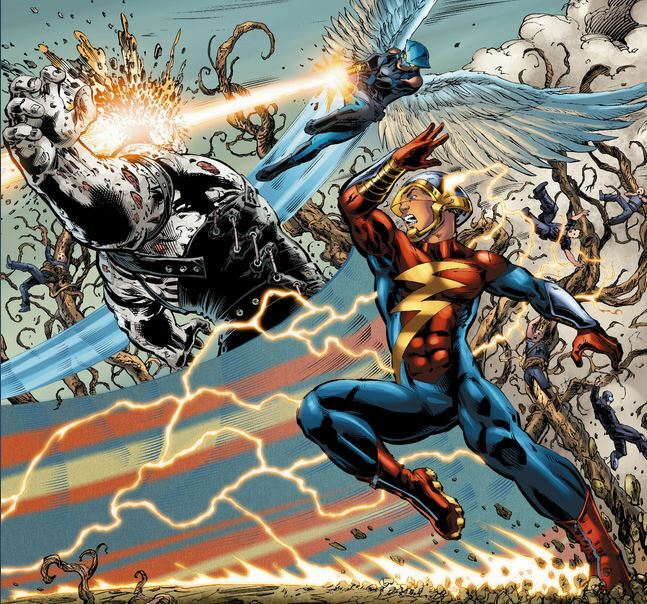 Flash and Hawkgirl are in Poland, Grundy is in Washington. No problem for the Flash. 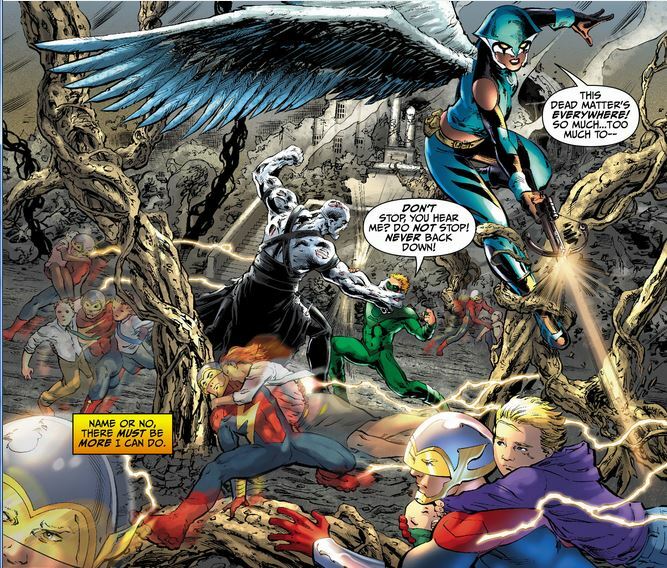 Green Lantern too is attracted by Grundy's mad rampage. 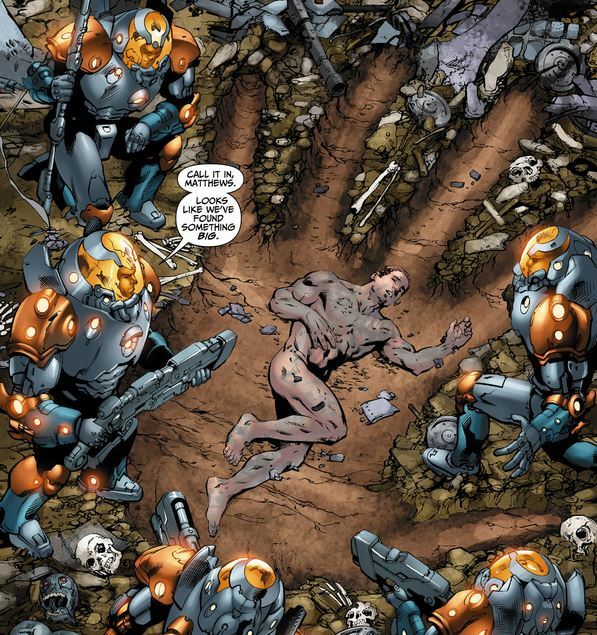 Al Pratt, now codenamed the Atom is also rushing to confront Grundy. 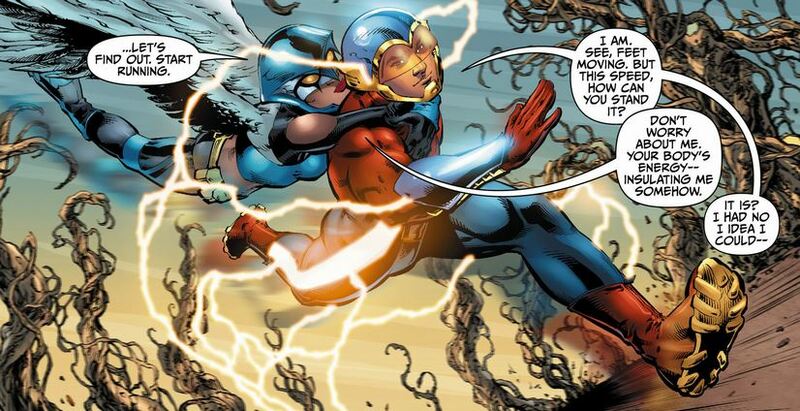 Flash and Hawkgirl are the first to arrive. 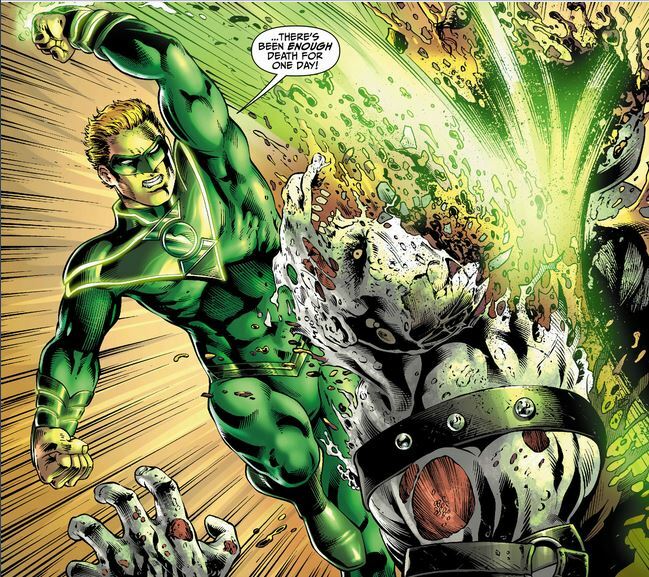 As Flash will repeatedly say, the Green Lantern does not mess around. Here are the three in action against and around Grundy. 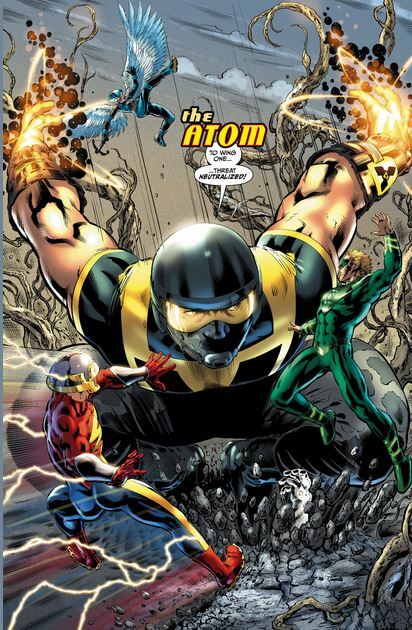 I expected the Atom to become smaller but it's actually the reverse. 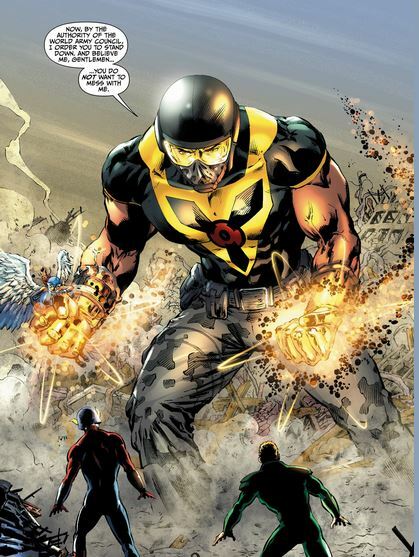 Atom pertains to his nuclear origins, not his power. Al Pratt is not aware that Grundy can regenerate, so having landed on the monster Atom mistakenly thinks it's game over. 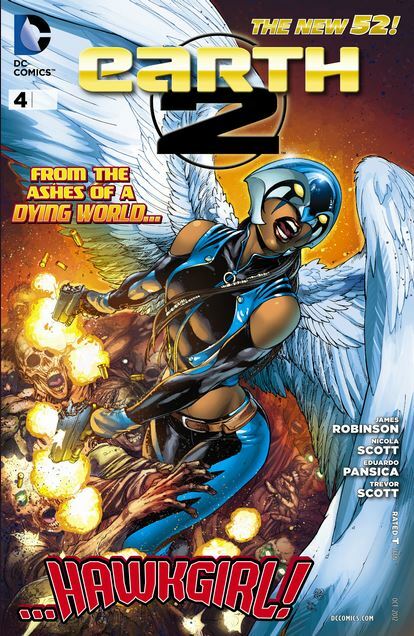 It is also revealed that Hawkgirl is an escapee from the same government program that runs the Atom. She is on AWOL so . . .